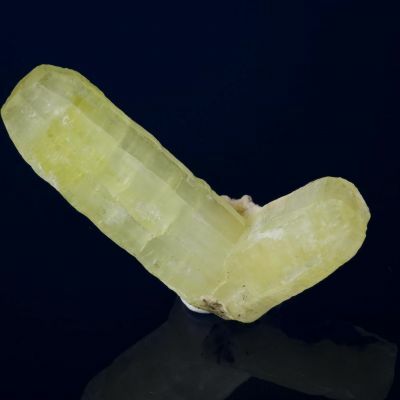 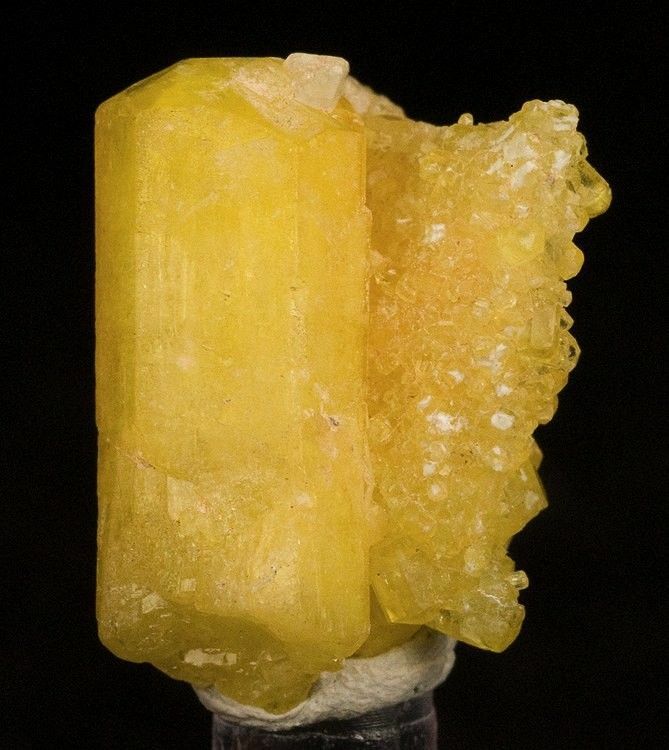 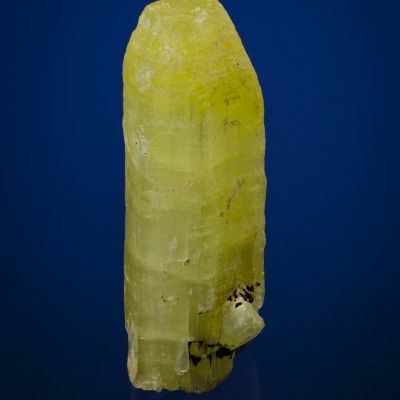 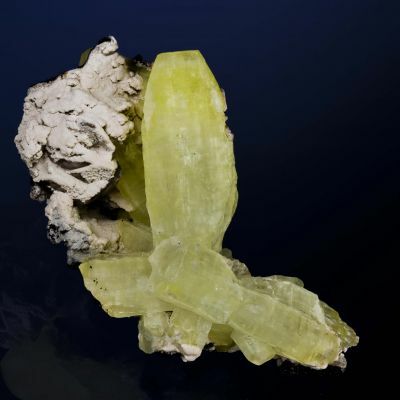 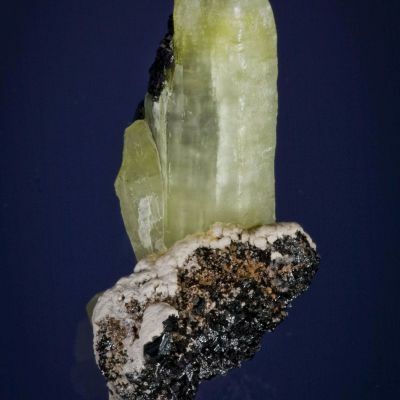 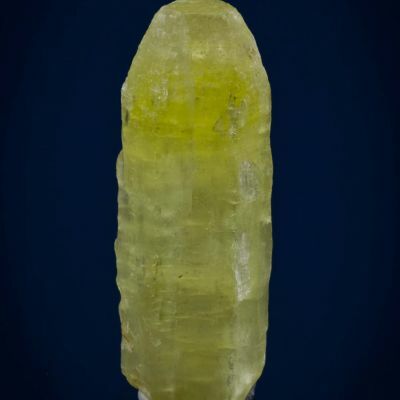 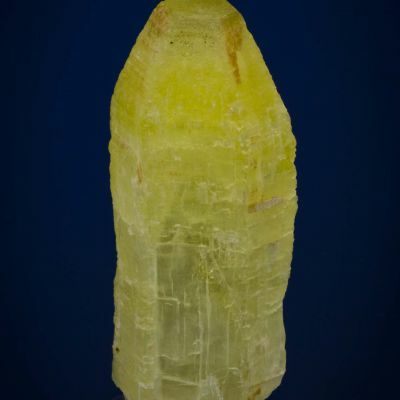 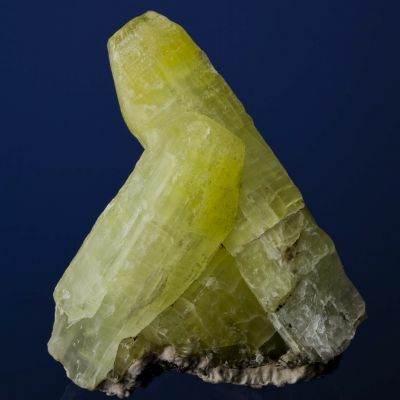 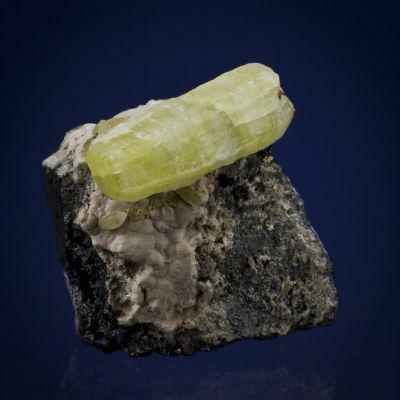 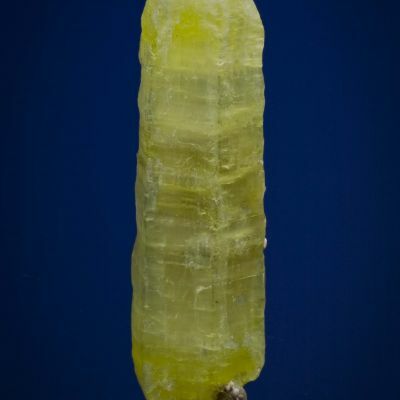 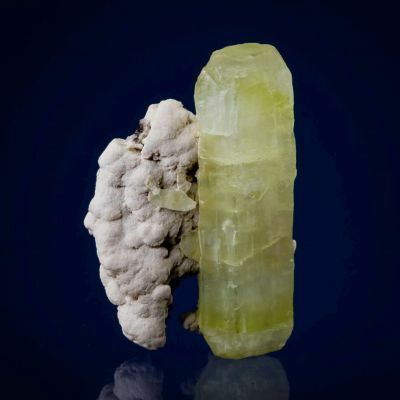 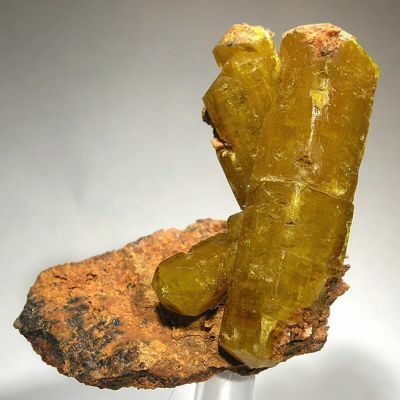 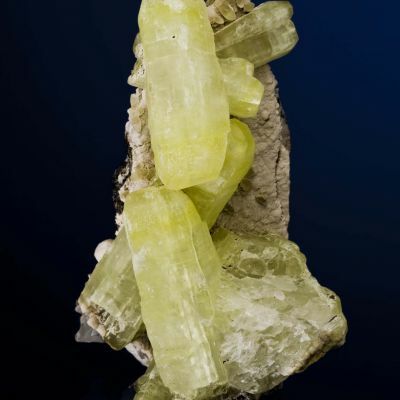 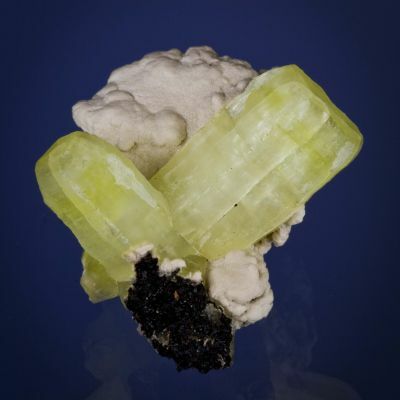 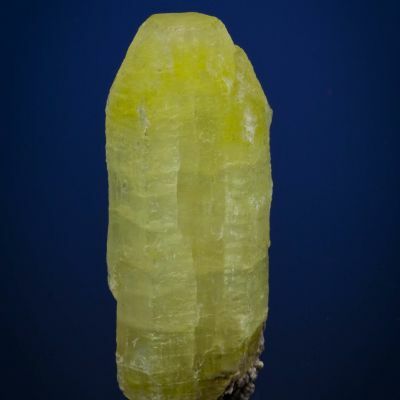 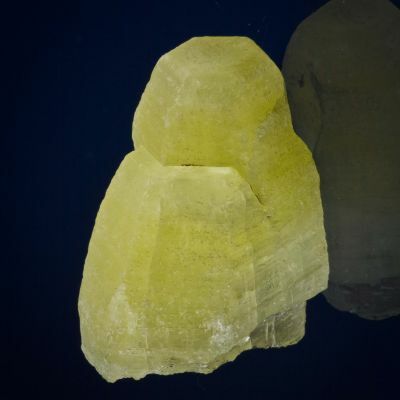 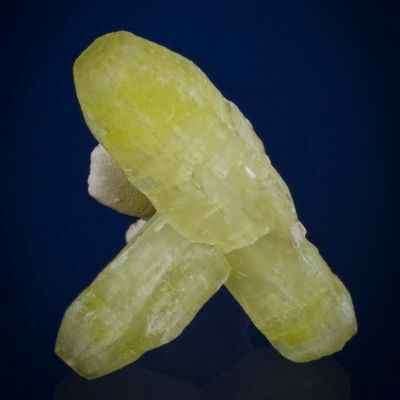 A sharp, lustrous, bright canary-yellow ettringite crystal attractively set on a matrix of smaller ettringite crystals. 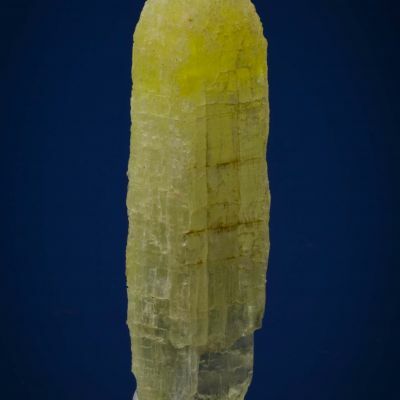 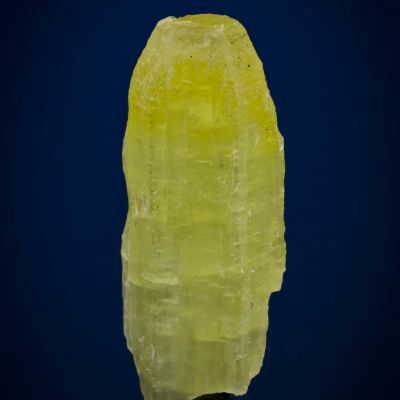 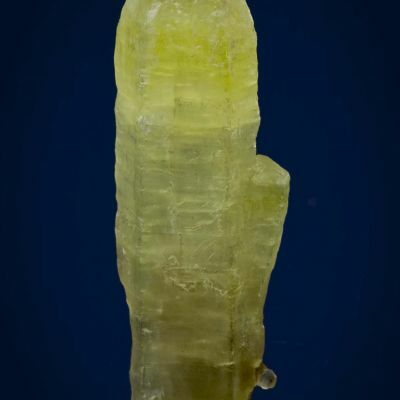 The translucent crystal is sharply terminated and has textbook, hexagonal crystal form. 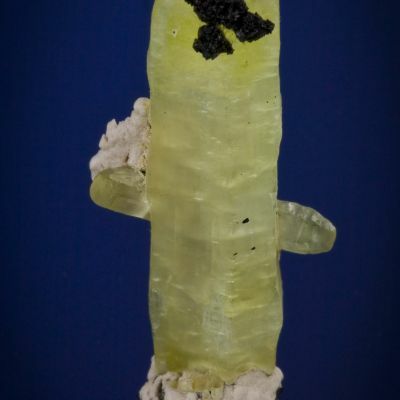 A highly representative specimen of the species from one of the N'Chwaning Mines of South Africa and the Charlie Key Collection.